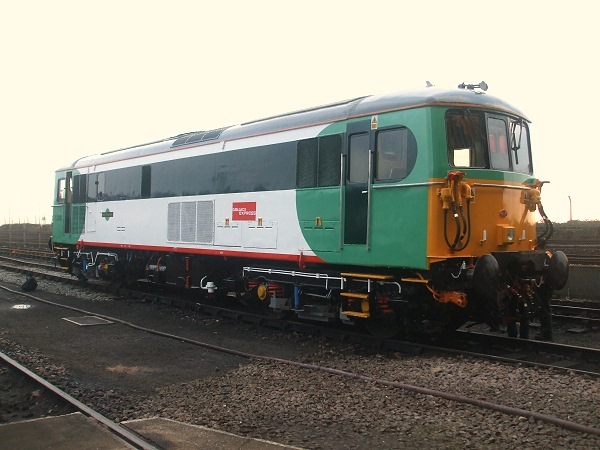 The Gatwick Express "thunderbird" locomotive 73202 has recently been repainted by St. Leonards Engineering into a version of Southern livery. You will note it is also carrying Gatwick Express branding and the lower ivory coloured band has been replaced by a thinner red stripe at solebar level. The "Dave Berry" name plates have not been restored. 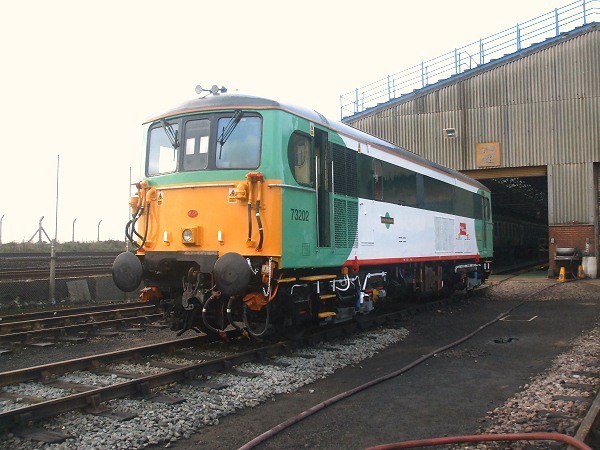 It is pictured here at St.Leonards Depot, home of St. Leonards Engineering and Hastings Diesels Limited.